A few clouds. Low 39F. Winds NNW at 5 to 10 mph..
A few clouds. Low 39F. Winds NNW at 5 to 10 mph. Rep. Marvin Nelson, D-Rolla, and Rep. LaurieBeth Hager, D-Fargo, are not fans of the official North Dakota logo. North Dakota's new "Be Legendary" logo. 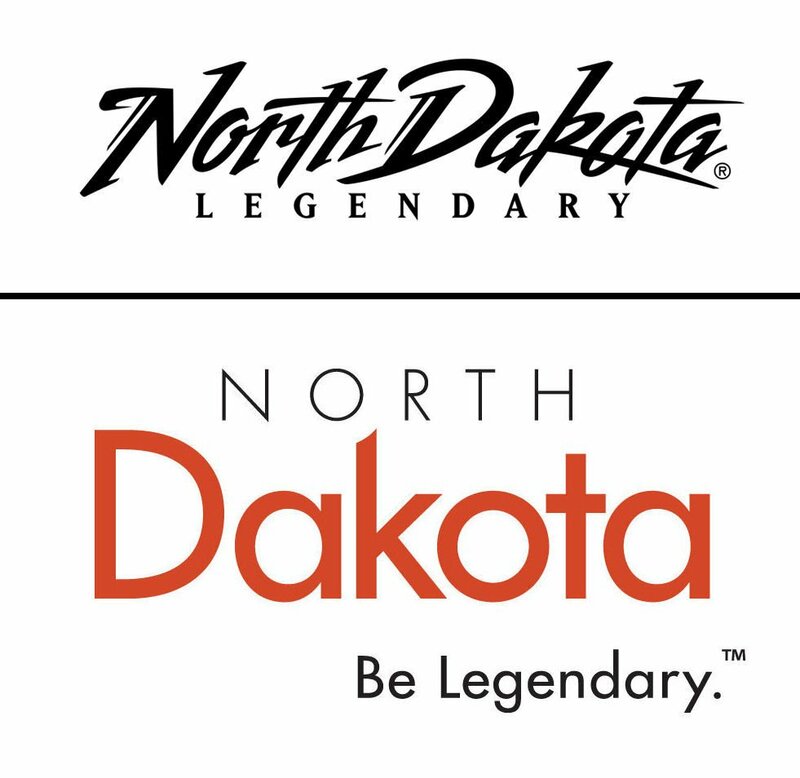 FARGO — North Dakota’s new “Be Legendary” logo that sparked criticism and prompted legislation to sponsor a contest for a replacement did not go through a competitive bidding process. That’s because the cost of the logo — $9,500 — is considered a “micro” purchase by the state, not subject to competition requirements under purchasing thresholds set forth by the North Dakota Office of Management and Budget’s procurement division. All that is required for a “micro” purchase is to obtain at least one “fair and reasonable” quote for purchases less than $10,000 — a requirement that state officials said was met. The woman who heads a small Hawley, Minn., firm that was hired to design the logo, Kara Ellefson, was a longtime marketing executive at Great Plains Software, which later became part of Microsoft, in Fargo. Mike Nowatzki, a spokesman for Gov. Doug Burgum, said the governor knows Ellefson from his time as a top executive at Great Plains Software and Microsoft Business Solutions, but said the governor did not suggest her for the logo project. Holly Holt, senior manager of strategic initiatives for the North Dakota Department of Commerce, acknowledged that she knew Ellefson from time she spent at Microsoft, but said it was Ellefson’s extensive credentials that made Holt select her for the project. Ellefson, now the proprietor of Muskoda Marketing & Communications, worked for Microsoft for 23 years, serving as marketing director for more than two years and senior group marketing manager for more than 20 years, and participated in five major branding initiatives. The North Dakota logo project was unwieldy, requiring an umbrella logo design that would unify 57 state brands, Holt said. Holt and Ellefson also know each other because both are involved in music programming for their church, Our Redeemer Lutheran Church in Moorhead. Department of Commerce staff already had done considerable work involving the brand strategy and goals, including coming up with a unified logo and an image that would attract young professionals who want to live and work in North Dakota, Holt said. “We’ve done a lot of the heavy lifting,” she said. Officials decided to take the existing Legendary North Dakota brand and logo, created in 2001 by Odney and revised in 2013, rather than to start from scratch, which would have had development costs of $150,000 to $1 million, Holt said. After the new logo was unveiled, in early October, marketing and graphic design professionals complained. A petition and open letter to the governor circulated online, acquiring almost 1,000 signatures. The letter and petition signatures prompted two meetings last fall with staff from Burgum’s office and the Department of Commerce. Jordan Loftis, a Bismarck marketing and public relations writer with a background in design, wrote the letter and attended the meetings on behalf of concerned creative professionals who signed the petition. As far as Loftis is concerned, the problem isn’t what the logo cost, or the fact that the job went to a Minnesota firm, although he was not happy that no local designer “got a shot” at the logo project. “Honestly, for the amount of money this is, I don’t think it was any nefariousness,” he said. “It was just expediency,” a desire to move quickly. “If the logo was good and she was from Texas, nobody would care,” he added. Loftis’ objection is that the logo is amateurish and ineffective, although he said the brand strategy behind the logo is sound. Ellefson said she was approached to see if she was interested in taking on the logo project. She said she was unaware of the $10,000 threshold that would have required bids. She said she provided a $9,500 proposal, the amount she later billed in two installments, according to state records obtained through a public records request. The final result, one of a series of versions submitted to the state, reflected her best work and met the client’s expectations, Ellefson said. “In this business, you have to have a tough skin,” she added. Rep. Marvin Nelson, D-Rolla, is the sponsor of House Bill 1457, which directs the Department of Commerce to administer a state logo contest to “design and create a new state logo,” including establishing rules and a judging and selection process to name a winner, with a new logo to be ready for the 2020 North Dakota travel guide. The bill was given a unanimous “do pass” recommendation in committee, but members amended the bill to slash a slate of prizes totaling $90,000 down to $9,500 for the winner, the amount Ellefson’s firm was paid.